Our guest this week on Industry Night with Foodie and the Beast is Christian Eck, Assistant Food and Beverage Manager and Tea Specialist at Michelin-starred, Blue Duck tavern in Westend DC’s glorious, Park Hyatt Hotel. As well as being Blue Duck Tavern’s tea specialist, Christian is a Certified Sommelier through the Court of Master Sommeliers, so he is able to offer pithy parallels between the farming and production of wines and teas. Even better, he delivers incredible knowledge into the origins and history of tea varieties (Remember that all tea comes from the same plant and leaf – production techniques are what deliver such a range of tea types) and had tons to offer about the tastes and health benefits of the more than 30 varieties he serves at Blue Duck’s unique Tea Cellar, a one-of-a-kind, tea-centric experience here in DC. Join us for a spot of tea, won’t you? How did Carla Hall wind up interviewing Michelle Obama in Cleveland on March 16? Intentions. Carla Hall, best known from her days on Top Chef and Top Chef All-Stars, and more recently, as the former co-host of The Chew, has never had a plan. But she has always had intentions. Today on Industry Night, Nycci Nellis and Carla Hall talk about how Carla's intentions have taken her from being an accountant to a modeling career, from being the sandwich lady to now being an accomplished television personality and cookbook author. Carla's latest book, "Carla Hall's Soul Food: Everyday and Celebration" is a rich offering of dishes and recipes that have roots in history and heritage and it’s delicious. 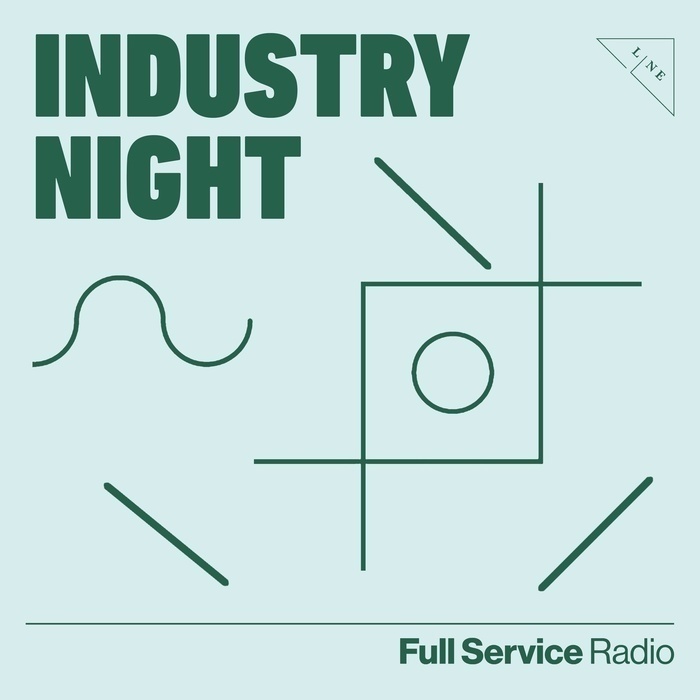 This edition of Industry Night with Foodie and the Beast, we’re speaking with two, exceptional authorities in their own right. First, Kiko Bourne hosts Lunch Agenda, a food systems education podcast right here on FullServiceRadio.org. She’s also the Cooking & Gardening Teacher for kids at Mundo Verde, DC’s first “green” public charter school, and we’ll chat with her about her good works teaching kids about … good foods! Previously, she was head of marketing for the Capital Area Food Bank and marketing director for San Francisco’s Bi-Rite Market. Justin Severino is a four-time, James Beard Foundation award nominee for Best Chef Mid-Atlantic and a 2015 and 2014 winner of FOOD & WINE’s “The People’s Best New Chef Mid-Atlantic” and chef/co-owner of Cure, a neighborhood restaurant in Pittsburgh dedicated to local sourcing and seasonal cooking with an urban-Mediterranean influence, and nearby Morcilla, an award-winning Spanish restaurant serving pintxos and family-style dishes. His new spot, The Larder at Larimer, a collaboration with Scott Smith at East End Brewing Company, will open in early 2019. Severino is a great interview. He’s a skilled, whole animal butcher who brings an extensive charcuterie program and flavors of an Italian-American upbringing to his menu. In 2012, Cure was named one of the “Top 50 Best New Restaurants” by Bon Appétit magazine, so you know he’s quite a chef! Since opening, Morcilla has been chosen by Pittsburgh Magazine as the “2016 Best New Restaurant”. Bon Appétit ranked it Number Four in the country in the annual, “Best New Restaurants” issue, and it was nominated for a 2016 James Beard Foundation award in the “Best New Restaurants” category. Title: The Make Up of Makeup and Why It Matters. Tonight, we tackle subjects of consuming interest: The cosmetics industry and the products it manufactures. What’s in what they tell us? How do cosmetics products work? Aer the ingredients good for – or harmful to - our skin? Most people don’t think about their skin as one of their body’s essential organs, but it is. And men and women alike use all sorts of product and slather all sorts of “stuff” on their Faces and bodies to look and feel better. What’s in all that stuff, why and what does it really do? In with us today are Melanie Benesch a legislative attorney with the Environmental Working Group (EWG), an activist group specializing in research and advocacy in the areas of agricultural subsidies, toxic chemicals, drinking water pollutants and corporate accountability. With her is Carla Burns, and EWG research analyst with a focus on cosmetics and personal care products. When a venue has been in place and entertaining guests for more than two centuries, you know they must be doing something more than right! A case in point: DC’s Tudor Place, originally founded by Thomas and Martha Peter. Ardent Federalists, they hosted politicians of that persuasion at Tudor Place in the early 19th century (They were so patriotic, they named their daughters Columbia, America, and Britannia). At Tudor Place, one was likely to come across tipsy congressmen getting intoxicated on apple toddy served from a Mount Vernon punch bowl; BBQ, early 19th Century-style (Tudor Place has one of the earliest extant smokehouses remaining in the District (1795); vintage Madeira (Tudor House has on display several bottles of historic alcohol in the Tudor Place collection including bottles of Madeira wine from the 1840s; early 19th Century, “Farm to Table” practices and … much more! Joining us on the show is Grant Quertermous, curator at Tudor Place Historic House & Garden and former assistant curator of collections at James Madison's Montpelier. Grant offers an instructive look back at 19th Century hospitality, Peters Family-style, and also clues us and you into how you can visit Tudor Place and attend their Landmark lecture series, other members-only Events, Tudor Nights and Behind the Scene Tours and other family events. Tonight on Industry Night with Foodie and the Beast, we’re jumping into the Industry Night time machine with anthropologist/archeologist Dr. Bill Schindler to look at how and what (very) ancient man and woman ate and how we should seek to replicate that diet today. Dr. Schindler is, first and foremost, a very cool guy who also happens to be director of the Eastern Shore Food Lab, an Associate Professor of Anthropology and Archaeology at Washington College in Chestertown, Maryland and the co-star of the National Geographic series, The Great Human Race. Schindler’s basic thesis is that our bodies are pretty much the same as they were when humans first walked upright and that we’re designed to operate no differently than our ancestors did, when it comes to utilizing prehistoric and traditional technologies (tools), especially as they relate to food acquisition, processing, storage, and consumption. He believes that the better understanding of prehistoric life made possible through the archaeological record and a practical understanding of the technologies that created it can contextualize our place in the world and help provide answers to many of the issues facing us today, especially when it comes to our diet. He’s a huge, proactive advocate of traditional foodways and constantly seeks new ways to incorporate lessons learned from his research into the diets of modern humans. His outlook on food has revolutionized the way in which he and his family eat and he attributes much of the health his wife and three children enjoy to the nutrient dense hunted, gathered, and fermented foods that comprise a significant portion of their diets. This was a truly mind-blowing interview – join us to get your own mind blown and some good advice for how to start eating like a human again! Whiskey? Whisky? However you spell it, it‘s all good! Tonight on Industry Night with Foodie and the Beast, we’re joined by Scott and Becky Harris, founders of Catoctin Creek® Distilling. We first met Scott and Becky in 2009, when our broadcast, food and wine variety show, Foodie and the Beast, only recently had launched and when Scott and Becky we just brewing their first batches of rye. Now 10 years later, Catoctin Creek, the first legal distillery in Loudoun County, VA since before Prohibition, produces Virginia's most awarded whisky, Roundstone Rye, and Scott and Becky are on the show to talk about the trials, tribulations and soaring success they’ve experienced. Extra-interesting point: Becky Harris is the distillery’s chief distiller – not too many women play with that title in what is traditionally a boys’ sandbox. So listen in to hear what it took for this chemist-turned-distiller to create Virginia’s most successful rye whisky. Across the past four decades or so, Virginia wines have gone from obscurity (Wine? Virginia? No way!) to national prominence. The Commonwealth is now tied with Texas (Texas? Wine? Really?!) as the nation’s fifth largest wine producers. Among Virginia’s most prominent wine producers is Tarara, located in Loudoun County. For 30 years this year, Tarara has produced exceptional wines from its own grapes and those of neighboring vineyards. And for the past 12 years, Tarara’s award-winning winemaker has been Canadian Jordan Harris (Canadian? Yup! They make wine there, too!). Jordan is in with us on Industry Night with Foodie and the Beast with tastes and talk of his path from “What am I gonna do with my life?” high school kid to celebrated winemaker; Tarara’s exceptional varietals, and if how, as winemaker, he and his farm are responding to and learning to work around climate change that, for example, brought record-setting amounts of rain to Northern Virginia last year. It’s a fascinating and (for us!) tasty show. Join us! DC’s Lebanese Taverna – umm, umm, good! Join us for a deep dive into the Lebanese Taverna success story and to live vicariously as we taste some truly awesome, Lebanese wines!